Mumbai: IndoStarNSE 3.49 % Capital Finance Limited today signed a binding agreement to acquire the CV finance business of India InfolineNSE -8.88 % Finance Limited (IIFL Finance), a subsidiary of IIFL Holdings Limited. The acquisition includes the entire CV finance AUM of Rs. 3,949 crore as on December 31, 2018, comprising of Rs 2,450 crore of loan portfolio and Rs. 1,499 crore of securitisation and assignment portfolio, together with 1,337 strong employee team located in 161 branches spread over 18 states. This team has achieved a gross disbursement in excess of Rs.3,000 crore for FY18 and Rs 1,723 crore for the first half of the financial year. 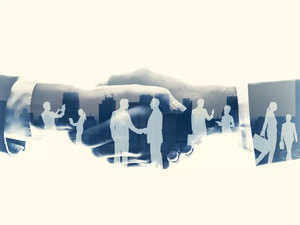 The boards of both companies have approved the above transaction. IndoStar Capital, promoted by Everstone Group in 2011, initially started corporate lending business. Since 2015, IndoStar has been building its retail lending business which accelerated last year with the set-up of CV finance and Affordable Housing FinanceNSE 0.88 % businesses. “This strategic acquisition which is profit accretive from day one helps IndoStar to significantly accelerate timelines in achieving our goal of becoming the leading retail finance NBFC having a diversified and profitable asset book with strong growth prospects,” said R. Sridhar, Executive Vice-Chairman & CEO, IndoStar CapitaI. IIFL’s investment banking team was the exclusive advisor to the transaction.